Surely there are some lessons that Educomp and its founder Shantanu Prakash have learnt during the rollercoaster ride of the last five years? 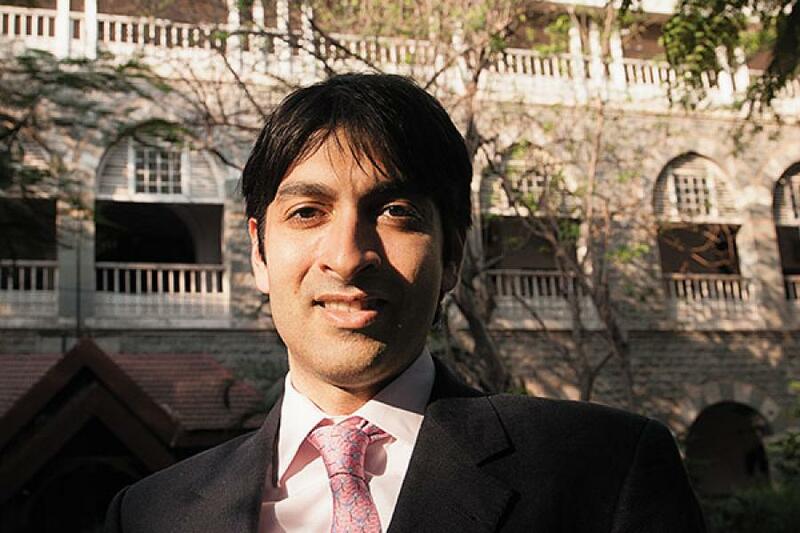 Ankur Rudra, a stock analyst at Ambit Capital, knows how to call it like it is. In January 2011, the then 29-year-old stuck his neck out by putting a ‘sell’ rating on Infosys, a company that had been the blue-eyed baby of the Indian stock market for nearly two decades. It would take nearly a year-and-a-half for the rest of the analyst and investor community to come round to Rudra’s point of view, that Infosys was being valued too highly in the context of its growth potential. Of course, by then its stock had shed nearly a third of its value, so everyone had the benefit of hindsight as well. In February last year, Rudra stopped tracking Educomp Solutions, the largest education services firm in the country. 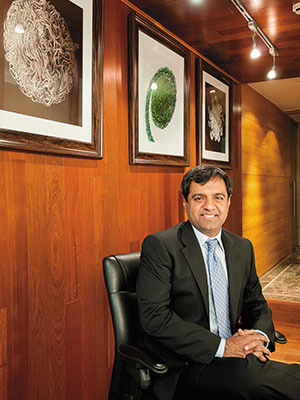 “I’d been pessimistic about the company since 2009, but by 2012 there just wasn’t enough trading in the stock for it to be of commercial interest to any stock broking firm,” says Rudra. Sangeeta Gulati too had been bearish on the stock. Of the 35 transactions she undertook in Educomp between 2007 and 2012, nearly two-thirds were sales, and in almost all cases undertaken within a fortnight of acquiring the shares. But Gulati wasn’t a star fund manager. She was the chief financial officer (CFO) of Educomp. Most of the stock she sold was allotted to her through Educomp’s ESOP (employee stock ownership plan). In April 2012, Gulati resigned, a week after making her two final share sales. Today, Gulati’s pessimism on Educomp’s stock makes perfect sense. For a company that almost single-handedly created the hype around money-making opportunities in school education, its stock is down 67 percent over the previous year; 84 percent over two years; 91 percent over three years. Its market capitalisation has fallen from Rs 7,000 crore in November 2009 when Forbes India did a profile on the company to just Rs 771 crore as of March 23. Things have been bleak internally as well during the last two years, with even employee salaries being held up at both Educomp and IndiaCan, its joint venture with Pearson Plc. Of the $150 million in new funding it raised in July 2012 from three foreign investors, two-thirds would go to pay back a five-year-old foreign currency loan it couldn’t repay on its own, given the debt and liabilities on its stressed balance sheet. What Prakash doesn’t talk about is that Educomp’s net profit margin has fallen 61 percent during the last four years; the net cash generated by its operations has been falling significantly for the last three years; the time taken to collect its money from customers almost doubled in the last four years; and most importantly, its overall liabilities in 2012 were over twice its revenues. Prakash is also cool about some high-profile exits from his company. Four months after CFO Gulati’s resignation in 2012, Mohit Maheshwari, Educomp’s company secretary and the person who led its compliance and corporate governance functions, resigned too. Meanwhile, that very year, four consecutive company secretaries would resign in Edusmart, a three-year-old company whose sole purpose was to convert nearly two-thirds of Educomp’s annuity revenue from schools into large chunks of discounted loans from banks. An uninformed, lay investor would think there was a pattern. “There is no pattern and no inference from these resignations. They are 500 percent irrelevant. Edusmart is a really small company and Educomp has had several management changes over the years,” Prakash says. A good place to see how the Educomp story developed chinks would be at the Sanskaar School in Hubli, Karnataka. Flanked by acres of red earth-topped bare fields and demarcated plots on all four sides, the six-year-old Sanskaar English Medium School sits a few hundred metres off the Gulbarga-Bijapur highway in Hubli. The 19 classrooms from Montessori to Class 10 brim with the chatter of nearly 800 students. Each of the classrooms is fitted with an interactive digital ‘board’ that teachers use to mix multimedia content with their regular teaching. In early 2011, Educomp inked a deal with Sanskaar to equip all its classrooms with its Smart Class range of digital classroom aids that allowed teachers to use interactive multimedia content to supplement the standard textbook-and-blackboard approach. Instead of paying roughly Rs 37 lakh to Educomp for the hardware and content, the school would pay it a monthly fee per class over a contract period of five years. In turn, the school would pass on the cost as a monthly fee increase of Rs 150 to Rs 200 per student. Given India’s population, paucity of good schools and love for all things technology-enabled, the potential market for such a service was seen as a few hundred thousand schools. Smart Class itself grew like weed, from less than 100 schools in 2006 to over 6,550 schools by 2011. By May 2011, Educomp had delivered all the hardware to Sanskaar, ready to be installed and configured. And there it would lie, for nearly two years. Under lock-and-key. In a storeroom. A senior representative from the school says it cancelled the order back in May itself because Educomp missed contractual deadlines for installation and commissioning. Instead, it chose to place a new order with one of Educomp’s smaller competitors. Meaning, Educomp received no further payments from the school and lots of letters asking for the equipment to be taken away. Yet it was only when the school threatened to auction the ageing hardware that Educomp decided to finally take it back just a few weeks ago. Divya Lal, the head of Educomp’s academic services, says Sanskaar acted with malafide intent and such cases represent less than 1 percent of Educomp’s 15,000-plus base of school customers. The reason Educomp did not pick up the hardware in spite of the school terminating the contract was, according to Lal, to avoid creating a perverse incentive for other schools too. She also adds that Educomp recognised no revenue from Sanskaar, and wrote off the value of the contract in its books. While Educomp may claim that such cases are too miniscule to matter, what was too big to ignore was the fact that many schools across the country weren’t paying it in time. “The risk is that this technology sales model becomes akin to the sub-prime mortgage scenario that caused the credit crisis in the US. Like in the US where loans were given to people who did not have the repayment capacity, there is some danger that ambitious schools looking for a magic bullet are buying hardware and software they ultimately can’t afford,” says Karan Khemka, a partner with Parthenon, a strategic advisory firm with a special focus on education. “It is the job of a financing institution, not an educational services vendor, to finance a school. Otherwise you end up bearing business risk, execution risk and financing risk. 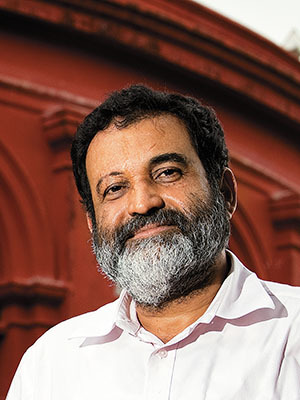 That’s too much to bear,” says TV Mohandas Pai, the chairman of Manipal Global Education (a group that competes with Educomp in various spaces) and erstwhile Infosys board member. This risk troika wasn’t apparent to many investors who bought the stock in 2009. Educomp then was supposed to be this ‘asset-light’ education software company that would scale with lightning speed. Why did Prakash move to this business model which would take in more capital and where the money would not come in quickly? The short answer: The lure of a high valuation. In January 2008, it’s price-earnings multiple was 27.8 (today it is just a fraction of that at 6.71). Buoyed by Educomp’s rosy growth numbers, between 2008 and 2009 investment banks and broking firms started putting out fat reports on the massive pot of gold at the end of the education rainbow. The potential market was estimated at $30-35 billion across various education segments like multimedia-in-classrooms, privately run K-12 schools, vocational training, preschools, coaching classes and higher education. Under Prakash, who apart from being Educomp’s founder and CEO also owned over 50 percent of its stock, the company set out to plant its flag in every conceivable sector in education using every conceivable strategic tool. There were joint ventures—IndiaCan with Pearson Plc in the vocational training space; Raffles Millenium colleges with Raffles Education; Topper TV with Network 18 (the parent company of Forbes India) in the TV space. There were investments and acquisitions—PurpleLeap in vocational training; Vidya Mandir and Gateforum in test preparation; Eurokids in preschools. And of course there were numerous new subsidiaries of which its own brand of K-12 schools was the most significant one. One particularly innovative technique Educomp adopted even ended up making its debt disappear for a while. That magic bullet was Edusmart, an ‘unrelated’ company headed by one of Educomp’s senior executives. The new company took over all of Educomp’s newer five-year school contracts, pledged the receivables with banks in return for roughly 75 percent of the amount as a lump sum, most of which it meekly handed over to Educomp. Why would banks lend to a new and unknown company? Because Educomp stood guarantee on those loans, even though Edusmart was neither a subsidiary nor a related party on its books. Analysts and investors were aghast: The model’s sole purpose seemed to allow Educomp to book three-fourths of a school’s five-year annuity revenue right upfront, thus inflating revenue and profits. Prakash says the decision to do this was “merely technical” and “not relevant in 2013”. 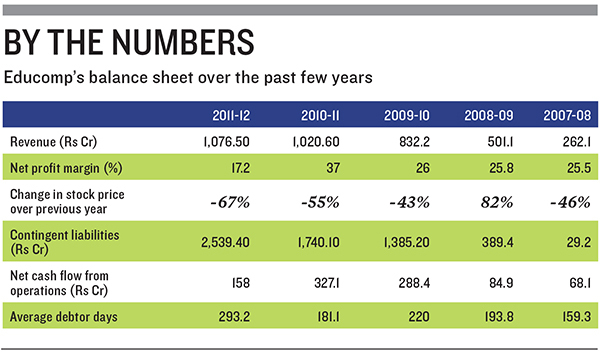 This is why Educomp’s total debt as of March 2012 is just Rs 337 crore, while its total liabilities were Rs 2,148 crore. “That was the beginning of the downfall of their stock. When Educomp saw growth slowing down because they’d penetrated most premium ICSE and CBSE schools, a better way would have been to educate the market and make itself more sustainable instead of changing their accounting model by using a private company to book revenue upfront,” says Rudra. For some this was a clear example of a promoter who was pursuing an unsustainable path. “It was the duty of the company’s board to counterbalance the dominant shareholder and CEO who thinks he’s a superstar. On that count I think the Educomp board has clearly failed,” says Pai. One would think that having burnt its fingers so badly by turning its primary business into a capital-intensive operation, Educomp would be smarter in the K-12 schools business. Yet it curiously chose to make that into an even more capital-intensive setup by deciding to buy the land on which to put up its schools instead of long-term leases like most competitors. “Schools are valued on the basis of their cash flows, not land banks. Because whatever the land’s real value, on the school’s books it can only be notional because it can’t ever be de-linked and sold,” says K Ganesh, the erstwhile CEO and founder of TutorVista, a company now fully owned by Pearson. Today, the 47 schools run by Educomp have nearly 50,000 seats between them, filled with only 22,000 students. De-listing may not be an immediate option for Educomp (though Prakash doesn’t rule it out either), it does appear that the company is belatedly trying to refocus itself towards a more sustainable business model. The starting point for that transformation was July 2012 when three knights in shining armour—the World Bank-owned International Finance Corporation, French development finance institution Proparco and distressed assets fund Mount Kellett—put up $155 million. “Educomp was lucky to get IFC funding, because the fund is usually savvy, conservative and concerned with issues around corporate governance and reputation. I was amazed and felt it was a coup of sorts,” says one of Educomp’s competitors. IFC did not respond to a Forbes India email questionnaire sent to Ved Prakash, one of its directors in India, by the time this story went to press. Mount Kellett too did not respond. Though IFC may have disregarded some of Educomp’s past at the time of investment due to building deployment pressure, it seems intent on being the new change driver. Sources say that the fund was behind the decision to drop one of Educomp’s two auditors, Anupam Bansal & Co (the other one being Haribhakti & Co). Over the years, many analysts and investors have wondered why the company never appointed one of the ‘big four’ accounting firms to audit its books, when even young VC-funded startups are doing so. In 2009, after a cloud of rumours and suspicion about its finances, Educomp announced that it had appointed Grant Thornton as its internal auditor. Educomp’s new investors are also behind a transformation plan that seeks to focus the company’s attention on two primary businesses: The content-based Smart Class and the asset-backed K-12 schools. Most other businesses will be sold off progressively. Prakash insists the decisions to hive off these stakes isn’t a function of Educomp’s financial situation. “These were only investments, which we are now divesting while making great returns and unlocking value for our shareholders. On that count I think we’ve outperformed even private equity funds like Tiger Management, Matrix and Sequoia,” he says. Educomp is a big time blunder, trust me I have experienced it personally, it has the most worst and unprofessional management who I don\'t know how but managing schools and they are more than worst when it comes to payments no matter how good you are in giving them services they wont pay you single penny unless you beg them not less than a beggar. even municipality schools are better than educomp Schools. It is nothing but simply a show-off to the students and there parents. Had read a report by Anavaran Investment in mid 2011 highlighting bearish points on Educomp with following rationale which have been found to be true now. Operating margin of more than 50% looks supernormal and will be surely come down to around 30% in coming 4-6 quarters. We can see signs of business being commoditised which will pressurize margins. More so with relatively low investment and technology barrier that the business model entails making it easy to replicate for others. A single digit PE might have lured but with anticipated decline in margins, price to sales of 3 looks bit expensive. A major chunk comes from products sold to school.This is a segment most likely to fall prey to lower prices. The company\'s business from higher level education centres is on declined Debt is on rise. Big gap between cashflow from operations and net income hints for problems with credit cycle, or worse accounting manipulation. Not happy with Management quality, have done some preliminary reading on them . Its pure luck that they are in business. Left to themselves, Shantanu Prakash would most probably be in Event Management. Perhaps not a big issue but the president sold all his shares on 22 July. Not a morale bosster for investors. Educom is a disaster., Look at Greatlakes , a business school, it acquired paying fancy price. They scaled up the school throughput without , teaching infrastructure, and necessary approvals from AICTE. They had approval for 180 students, but took on board over 360 students. There was visible tension with students, and at the end of the year over 70 students were not placed. Bad word spreads faster, and the input of students this year is less than 360. Dr. Bala Balachandran who was the original promoter has moved away from active involvement. The branch-co-branded school they opened in Gurgan , near Delhi is a bigger disaster. More than anything else, complete disregard for the AICTE approvals , and admitting double the number of permitted students , speaks volumes about the absence of corporate governance. When the regulator (IF AND WHEN) wakes up the school will be in for a large surprise, or will end up like the Everron story of dealing with the IT dept. Educomp was seriously overvalued, it is true. But to do it is considered an art now-a-days. We also heard there were income tax raids on educomp last year. Nothing about that nor the outcomes was mentioned in the article. Why arnt more details about employee exits mentioned? Exodus of employees is one of the key idicators of bad management and what is going on inside. Journalists should cover this part in detail. I dont consider Educomp to be a clean company however i also dont consider Forbes to be doing good clean journalism. The taste and the heading of this article were biased. Similarly Forbes wrote about top influencers in Education a few months back and portrayed Suneet Tuli of Datawind as a messiah with a great vision in Education.Again Datawind had an exodus of employees, it couldnt meet govt deadlines for 2 years continously, the consumer forum cried out loud about substandard products of Datawind but the journalist just ignored all of that. Is Forbes and its journalists a brand image creating/breaking company? Where is real journalism heading towards? Gone are those days when journalism was about balanced, well researched articles. The 21st century it seems is about raking in the moolah with as much sensationalism as possible. I was reading an article few days back where the International Finance Corporation had put its weight behind the future of the company in question, based on certain facts of course. And here, this is an article that seems prejudiced towards making a claim that is purely sensational in nature, and not based on facts . And with Mohandas Pai of all people, who incidentally happens to be the director of a rival firm, jumping in to score brownie points, the credibility of what we read and trust is just thrown out of the window. Gulati\'s portrayal as some sort of pseudo-Nostradamus predicting the company\'s doom seems nothing more than sensationalism. I highly doubt the impartiality of this write-up. The only place where it sounded credible is where the writer harps on the feeble performance of a small part of the company. This piece could have been better researched and impartially written! Its not abnormal to go through periods of rise and fall and Educomp is no exception. But it seems the author has gotten all pumped up in his educomp-bashing exercise! It almost seems there is bias against Educomp in this article. It is not Educom bashing. Please visit Greatlakes, and you will realise that the school in 2012-13 had taken in 360 students as against approved 180. , and collected 15 lacs from each. Outg of this 70 remain unemployed on the date of the convocation. Where is the moral standard of the promoters. Such institutions should be banned immediately. AICTE , like the railway board is part of the story. Its really sad to see such an Institution going down the drain so fast. As an individual and as a parent with interest in the education sector, what I knew was that Govt of India is quite serious and keen to support this sector. I only hope that Educomp gets back it lost glory and serves the Country as it used to. Management promotors are not trust worthy says ex Global Scholors CEO to me personally ,who sold for 140 million USD,what else we need . Any technology is redundant in 6 months. that is the reason why the technology developers sustain their business and innovate continuously. I wonder how educomp or tata or HP or any other company is missing to see this point. Children get bored of things too soon. so basing a business on quick boredom is the biggest risk any of these guys are taking by investing on the tech. All said and done, technology is actually not the way..... wake up people, good and prompt service always stands long. There is still a huge untapped market for Education in India - at the bottom of the pyramid. Rural and under-priviledged population would benefit edu-tech companies a lot more even with basic technology and software investments. Providing jazzy boards and graphics to the gang already equipped with iPads and likes is akin to feeding a stomach that\'s already bloated. Educomp\'s core competency is \'enabling\', they got it all wrong the moment they decided to get into \'funding\'. One company who got away smartly out of this over valuation for education business is Tutor Vista. Pearson will have hard time explaining the acquisition of Tutur Vista for Rs.500 crores. hi , i feel very sorry to read this article..., what is the furture of this product and moreover the fate of the employees and the schools who are the customers with educomp>> will they get support from the company further??? udhay.C. Tata Class Edge is one of the worst solution ever possible, as they have been providing scanned content instead of digital content, there are 100 of dissatisfied schools who have opted for this solution just on tata brand name. School must try out Next Education \"Teachnext\"